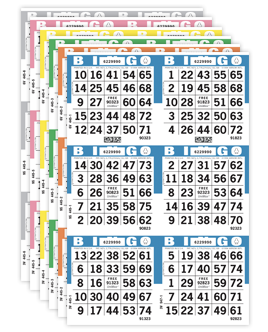 Arrow has the largest selection of the highest quality, most secure pull tabs in the industry. All pull tab tickets offered by Arrow are manufactured with multiple built-in security features, preventing potential fraud. Ticket security is continually evolving, and certain security features may vary based on location and legality. Match the combination of symbols on winning tickets that corresponds to the tiers listed on the front of the ticket to determine the prize amount. Each deal contains a unique serial number and is common to all of the pieces related to the deal. 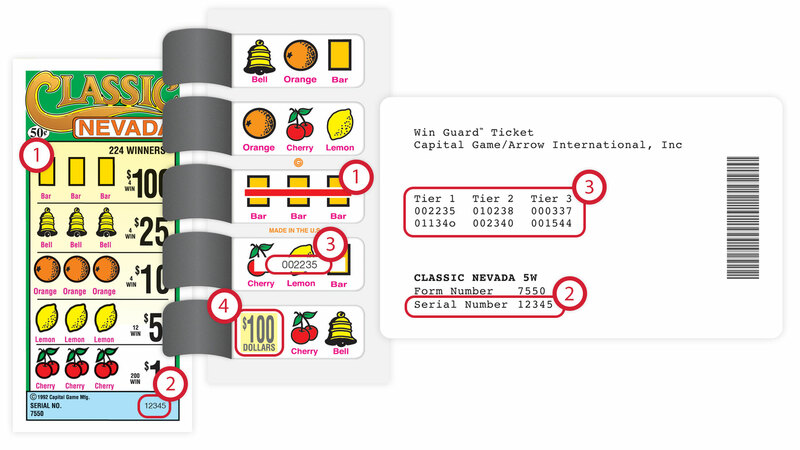 A protection system that identifies winning tickets by matching a random number shown on applicable tier levels to a security ticket unique to the deal. Displays the dollar amount on all winning tickets, showing players exactly what they've won.